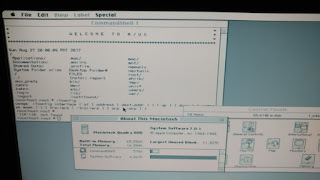 I really, really like 680x0 Macintoshes; in particular my Quadra 800. I've had it for a few years after buying it for the intention of running Apple A/UX, an operating system long forgotten. 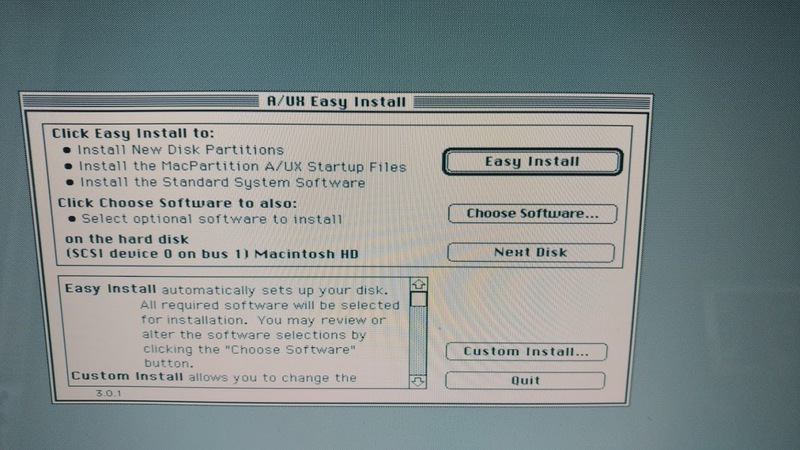 If you're unfamiliar with A/UX, it was a System V-based operating system that ran the Macintosh Toolbox alongside. 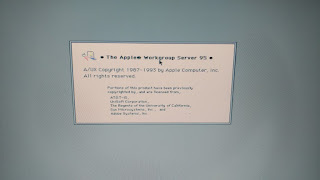 This meant that you had a full-fledged UNIX operating system that was capable of running your typical Macintosh System software parallel to local X11 applications. It was really Apple's first foray into environments that strayed away from their traditional model. I've long had an interest in this operating system as it is neat to think that we could have ended up in a world where System V instead of BSD ruled the roost at Apple. 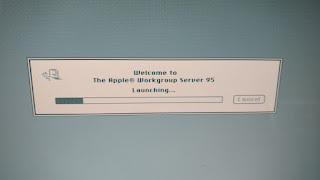 Apple struggled a lot in the 90s with trying to port their flagship operating system to IBM PCs (codenamed "Star Trek"), tried to reinvent the whole wheel with Copland (cancelled when Jobs took back the helm), and its eventual flirting with both Be and NextSTEP, with the latter leading to what was initially Rhapsody, then Mac OS X, and finally macOS. Yes. 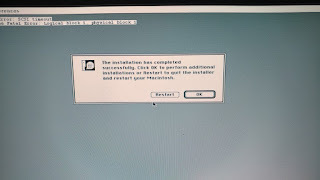 I do happen to like Apple history. 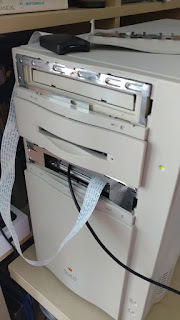 Going back to the project, I have had this Quadra 800 sitting in storage for years but knew one day I'd probably be able to get around to this project. 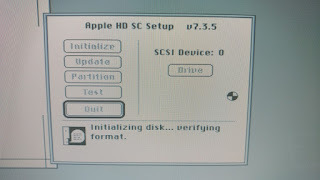 Eventually, I got the urge to do it and ordered an SCSI2SD, a device that allows me to emulate an HDD. This was ideal to me as I can swap out the drive at will should I ever decide that I want to run a different OS on this machine. You'll have to have a customised copy of HD setup installed on a floppy disk to get the drive initialised. I'll be providing a disk image and details a bit later here. Make sure that you can somehow get easy access to the USB and SD card slots. My solution works fairly well if you don't mind having something sticking out. Do not bother to use anything larger than 4 GB as your SD card. I tried with a 16 GB SD card and it was painful. In my case, I bought a micro-USB extension cable as well as a microSD one too. I have them sitting outside of the case through a slot on bezel (not shown). 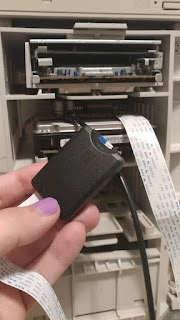 You don't really need access to the micro-USB port but I do recommend it as there are tools available for the SCSI2SD that allow you to troubleshoot and debug what is going on. 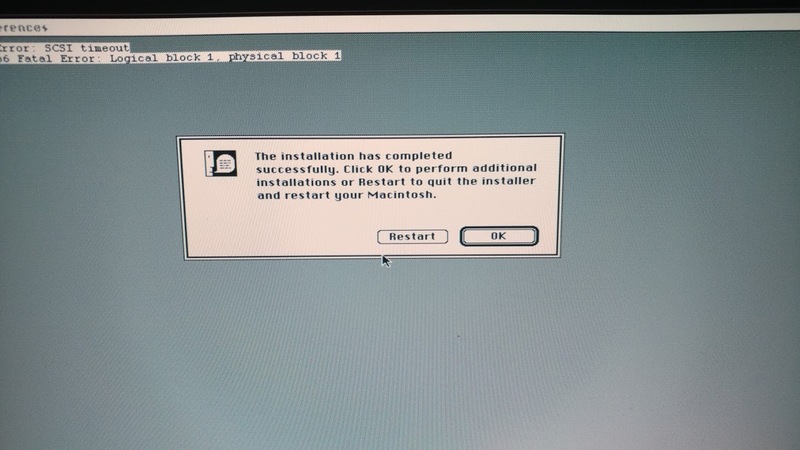 Once you got the device hooked into your Macintosh, you're going to need to create a new drive. This requires you to boot into an environment that allows you to run the Apple HD SC Setup tool. 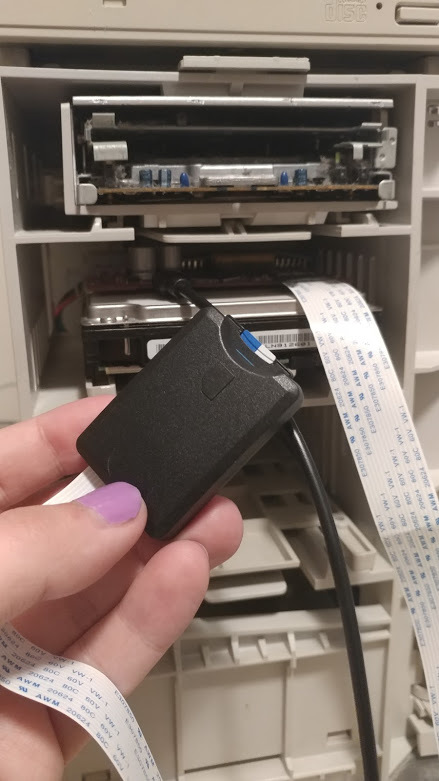 What I opted to do is actually buy a USB floppy drive and a bunch of floppy disks in order to boot into a System 7 environment. 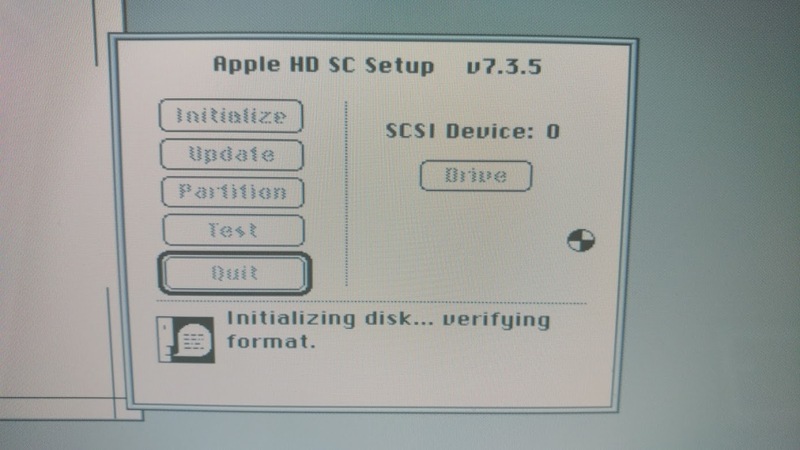 However, while normally if you're running a standard SCSI HDD on your Mac that you can use any disk image with SC Setup on it, since we're dealing with an HDD that doesn't have an Apple compatible firmware, we're going to have to do something slightly different. 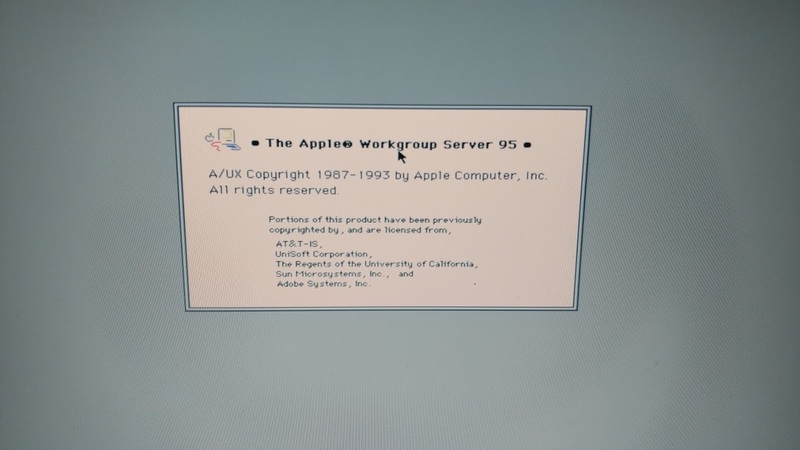 Instead of making you pull your hair as you try and patch a 25-year old application to recognize non-Apple drives, I'm just going to give you a disk image to boot off of instead. 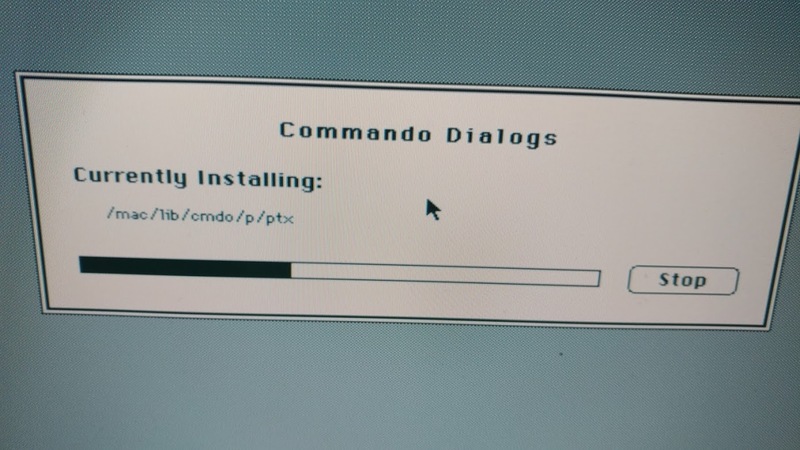 You can download this, image it to a diskette (it may even image to a CDR if you try), and then boot off of it. 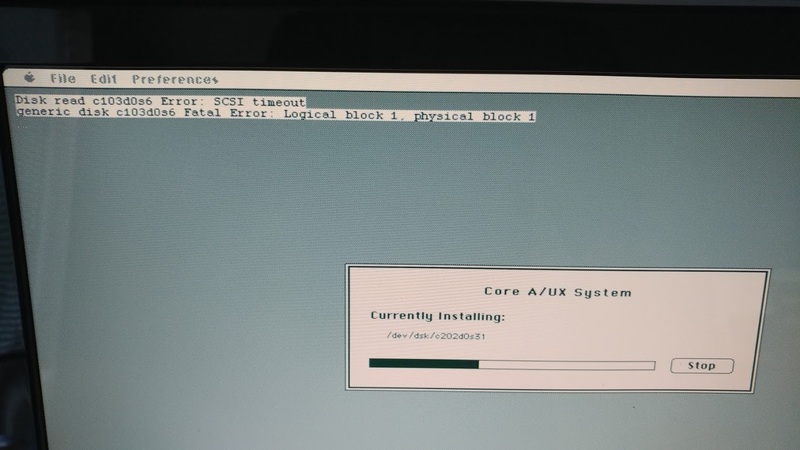 Once you've booted it you can then use any A/UX installation guide! 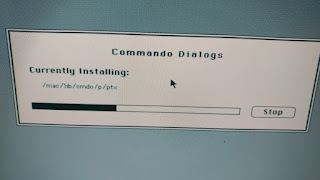 I won't be covering this part but will share a few screenshots of its successfully installing! You may run into disk errors as you've seen above, but otherwise it works! I'll be publishing a few more entries on this as I go along. One of my goals is to get the machine to run fairly up to date libraries. Of course with its meagre 33 MHz 68040 CPU and 64 MB of RAM, it will not be at all very fast. 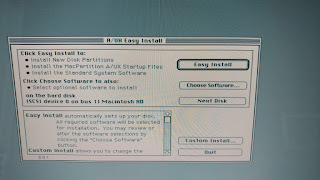 I could consider installing an upgrade board to increase the CPU speed, but I am hampered by the fact that the SCSI bus itself is fairly slow and will always be a bottle neck--just because it has solid state storage doesn't mean it will be fast!